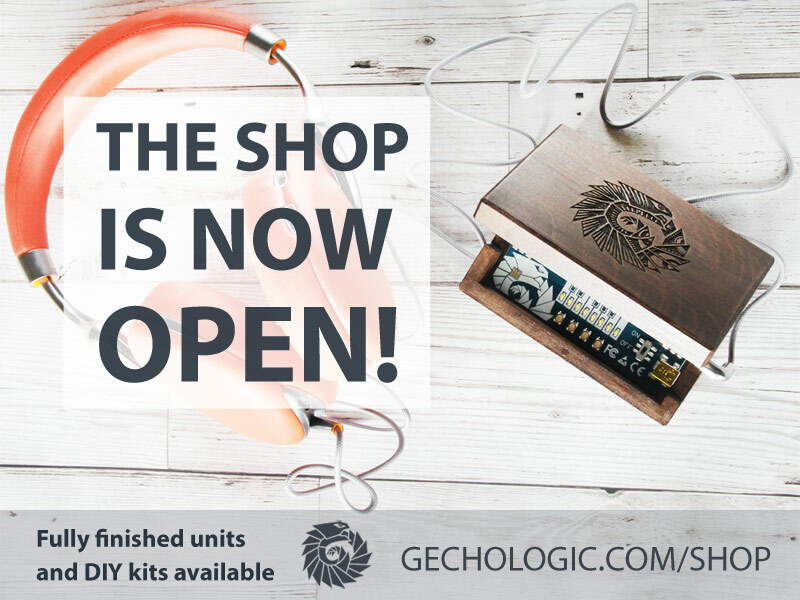 After Kickstarter has been fulfilled, here is your chance to grab one of the remaining units! If you feel like putting some effort in, there is similar spectrum of DIY options as it was in KS campaign. Also, for hard-core soldering fans, a new type of DIY kit is available, consisting of bare PCB board and SMD/THT elements. By constructing it, you will earn the rank of "Master Gechologist". The advantage of this kit (apart from lots of fun) is option to mount LEDs in any colour scheme you like, and choose between black or dark turquoise-blue circuit board. Raw boxes (without finish) are not available anymore, however the "Light Oak" version is light enough, allowing for additional coatings of your choice.